The Magickal Mystery D Tour E.P. 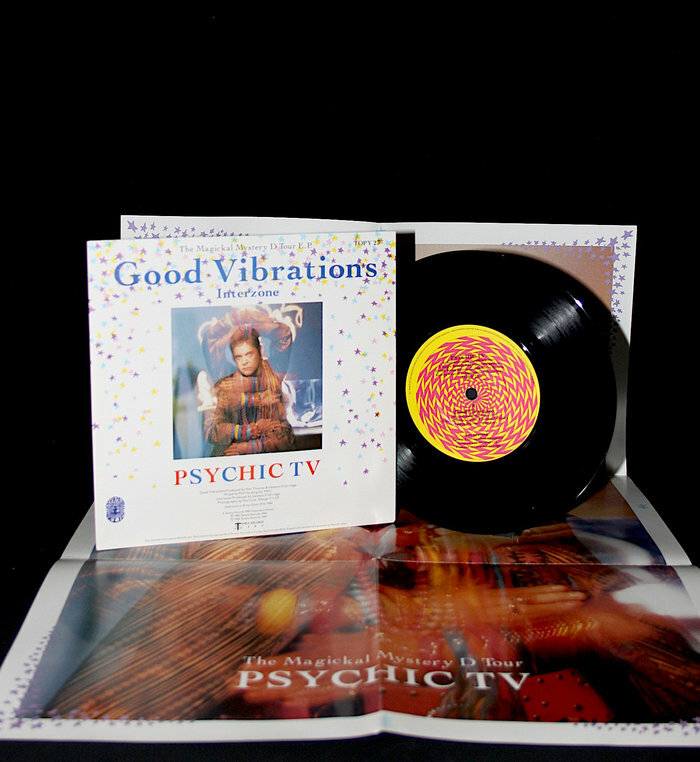 Good Vibrations + Roman P.
Comes in gatefold sleeve with round sticker on front: "Includes Free Bonus Single Godstar TOPYD 23". All tracks published by Stillgrove Ltd./Dejamus Ltd., except "Good Vibrations" by Rondor Music Ltd. and "Je T'aime" by Shapiro Bernstein & Co. Ltd.
"Dedicated to Brion Gysin 1916-1986. Roman P. is a song from the forthcoming feature film 'Godstar' which is about the life and times of Brian Jones and the era of the 1960's which began shooting on February 28th 1986. A Temple Records 1984 Hyperdelic Release".